The message from Sunday’s elections in Greece was unambiguous: The Greeks cannot and will not continue to abide by the austerity regime that has brought their economy to its knees. It was a message the Germans and other Europeans who continue to insist that Greece pay off its mountainous debt, no matter what the damage, must hear. 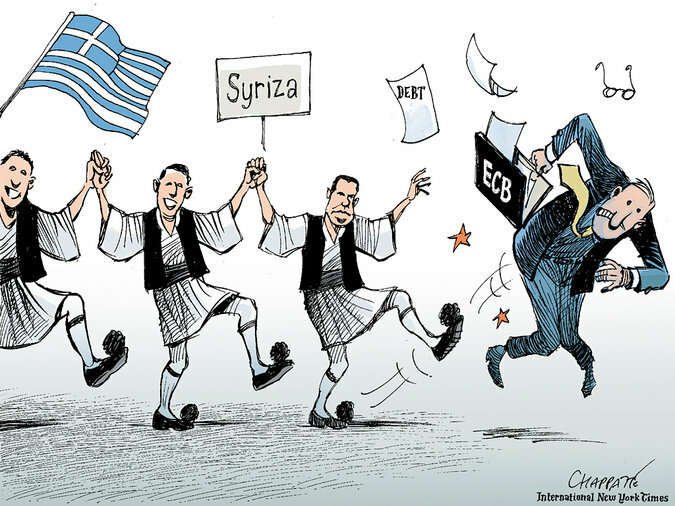 Persisting on their dogmatic course is not only wrong for Greece but dangerous for the entire European Union. It is too soon to anticipate how Alexis Tsipras, the maverick politician whose left-wing Syriza party won 36.3 percent of the popular vote and nearly gained an outright majority in Parliament, intends to deliver on the promises he made to voters to abandon the austerity program while reducing the nation’s debt and retaining the euro. These goals are fundamentally incompatible, but the new prime minister has signaled to Europeans that he is ready to moderate his ambitions once in office. It is essential that Chancellor Angela Merkel of Germany, who is seen by Greeks as the prime architect of the austerity program, and the “troika” of the European Commission, the European Central Bank and the International Monetary Fund, which manage the Greek bailout, demonstrate a similar readiness to ease the size and conditions of Greece’s debt burden. 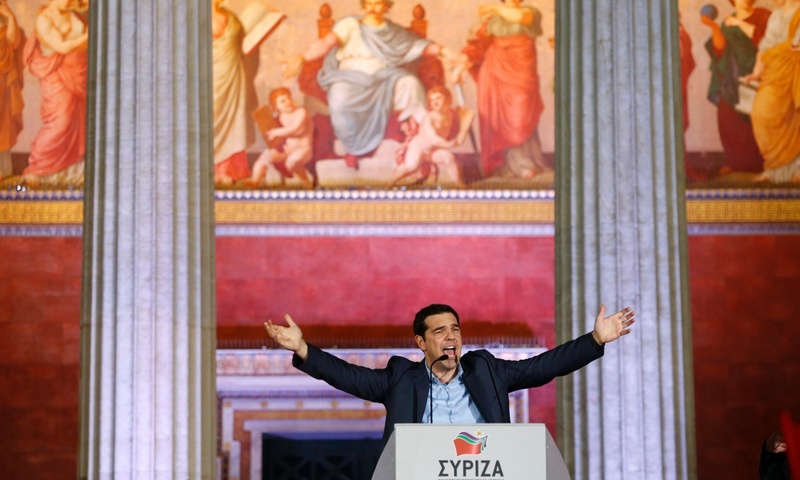 ← Tsipras’ first cool act.